The Japan Foundation offers a variety of Japanese television programs (dramas, animations, documentaries, and feature films) to the TV stations overseas with a view to introducing diverse aspects of Japanese culture and society from traditional to modern. 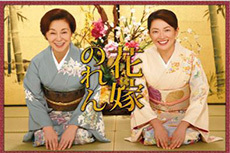 We introduce many faces of Japan to people around the globe through quality Japanese TV programs. It is a fun and easy way to get acquainted with various lifestyles and social practices of the Japanese people. Every region of Japan has its own history and traditions, which enhances Japan’s already rich culture. 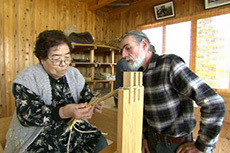 High-level techniques and artistic quality of Japanese are embodied by thriving works of individual craftsmen. 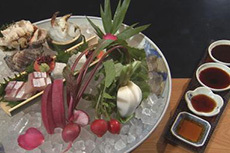 Japan is proud of its food culture, which has been handed down from generation to generation and yet continues to evolve. Read an article on the screening of Tora-san's Sunrise and Sunset contributed by Machiko Yamamura, a Second Secretary of Embassy of Japan in Bangladesh, in Wochi Kochi Magazine. Click the link below to view the latest information on the Program for Japanese TV Broadcasting Abroad in Latin America.